It’s funny how we might think open pores would be something that teenagers suffer with and we really wouldn’t expect them to be a problem in to our 40’s and 50’s. The fact is as we get older with sun damage and other influencing factors pores can become enlarged and generally give an uneven skin tone. Firstly, how does it happen? ..
Secondly, how can you treat and reduce them? 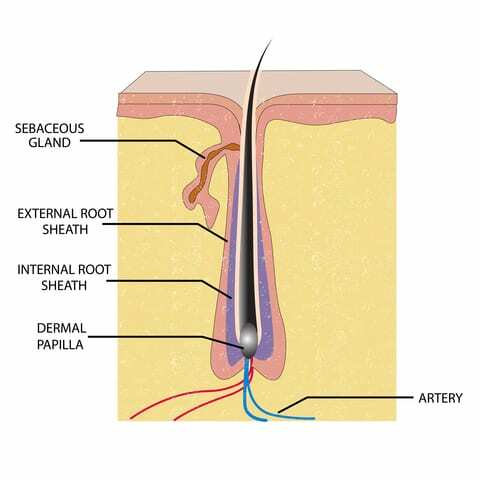 A ‘pore’ is the opening of a hair follicle so it contains a hair and sebaceous gland. As a teenager they can become blocked with sebum from the sebaceous gland to create blackheads and pimples. 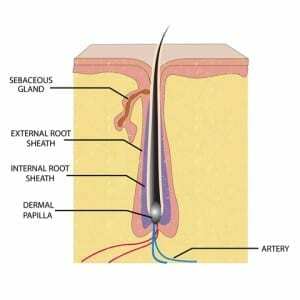 Skin starts to decline in our middle to late 20’s, damage in the deeper layers becomes more visible on the skin surface. A young healthy skin will constantly shed dead cells to appear smooth and hydrated. With age it takes longer for the cells to migrate from the dermis to the outer layers and once they reach the surface they don’t shed as quickly. Cells become harder and dried out, the texture becomes more course and skin loses its luminosity. Combined with the loss of elasticity, skin becomes slack and pores appear more open. Oil production from the sebaceous gland can build up and cause congestion, leading to blocked pores – these are visible as open pores. If they are left then they may become blackheads and potentially result in spots and acne. There are a number of ways to tackle the problem and a combined approach of resurfacing and cell renewal will give the best results. Firstly ensure that you cleanse at least twice a day to remove dirt and sebum. Wear a primer under your make up. Retexturizing Face Primer SPF 20 By Daniel Sandler, www.danielsandler.co.ukA good primer will smooth out fine lines and wrinkles and fill in enlarged pores so that makeup doesn’t sit in them. Daniel’s is award winning and gives great results. BB creams can give you a lighter look if you don’t want to wear foundation, these new hero products offer a slight cover, fill in pores and imperfections. Exfoliate regularly, skin resurfacing is the key to refined pores. Diamond microdermabrasion can be very effective at polishing the skin, the right system will also gently lift congestion out of the pores. IPL and light based treatments stimulate collagen to tone and tighten the skin to reduce the appearance of open pores. There is a vast range of light based treatments from LED to Laser, some are excellent and newer technologies are having less down time if any. Combined technology New innovative systems combine treatments and, Fusion SLR incorporates laser, acoustic wave and diamond technologies in a simple three-step process. I’ve mentioned this system as it is pain free. Step 1 Diamond microdermabrasion resurfaces the skin by removing dead skin cells and congestion. Step 2 Hyaluronic acid is infused in to the skin to increase hydration reducing the appearance of open pores. Step 3 Red light is used to stimulate the production of collagen and tighten the skin, resulting in a firmer texture and glowing complexion. TCA Peels (tri-chloro-acetic acid) have an effect on the walls of the pore, fine scabs are formed on the treated pores, which fall off in 7 – 10 days giving a 30 – 50% reduction in pore size. Dermarollers have been used for the reduction of pores, however the fact that it rolls in and then out of the skin has led some dermatologists to believe that it can increase the size of the pore. The new trend is for dermal stamping, the needles are more refined and enter the skin vertically reducing the risk of widening the pores. It is believed that this treatment stimulates collagen remodeling which helps to tighten the skin giving a finer appearance in the pores. Use good quality products with a gentle glycolic action to remove dead skin cells and freshen on a daily basis. The best way to do this is have a consultation in salon, this should be free. For a porcelain look, use a primer to fill and smooth below your foundation. If you can afford it, invest in salon treatment as discussed above, I would favour diamond dermabrasion and if possible followed by a light based treatment.